In 1980 I saw a TV commercial for the most remarkable model car that I had ever seen. It was a radio-controlled off-road buggy from Tamiya called the Sand Scorcher, and it could jump through the air, blast through water, and generally tackle the terrain like no other “toy” that I had ever known. I would do whatever was necessary to own one. The Sand Scorcher chassis was an amazing piece of work. 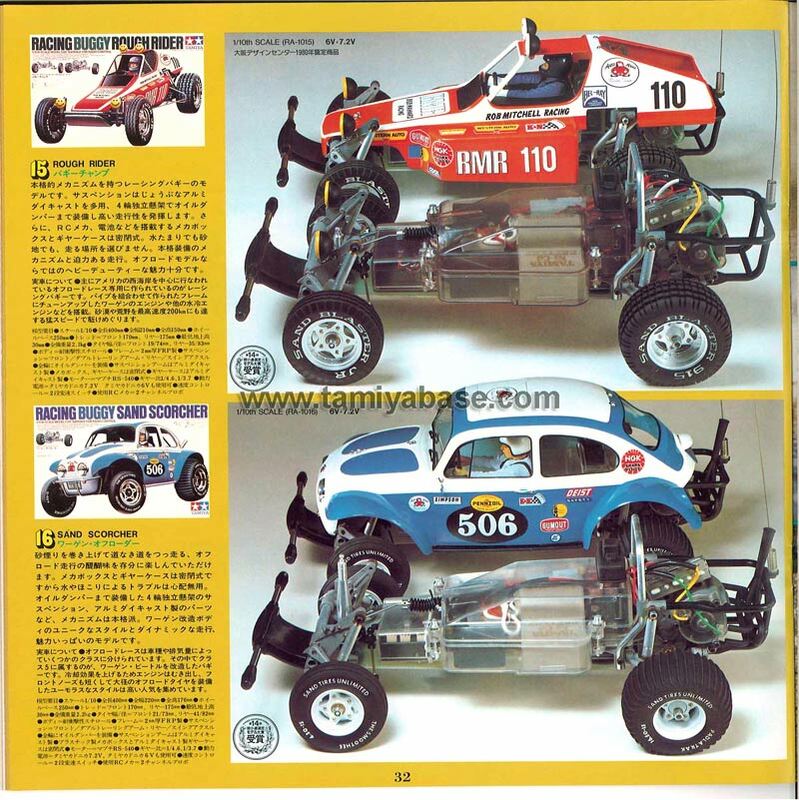 The die-cast metal suspension was pretty much a scale replica of the actual Volkswagon setup that was used by the full-scale baja racers of the day, with a twin trailing arm, torsion-bar sprung front end and a swing-arm in the back. The kit was also available as the “Rough Rider”, which had a baja desert racer body instead of the VW baja dune-buggy motif of the Sand Scorcher. This car launched a massive interational off-road RC car craze. The problem was, that these were expensive kits to manufacture and purchase. To meet the exploding demand for Radio-controlled action, Tamiya soon abandoned the scale, precision beauty of the Sand Scorcher and moved on into their “plastic era” and brought cheap, high-performance RC action to the masses. I really like scale stuff and was never able to embrace these “plastic era” cars. Compared to my Sand Scorcher, they just seemed well, sort of Radio Shack. The bodies and chassis were not so much models of actual 1:1 vehicles, but a whole crazy thing of their own. A while back, my friend Hugh brought his Tamiya Fox back from his parents house back East. This got me thinking about my old Sand Scorcher, which I had long ago cannibalized for parts for other projects before selling what was left at a garage sale. I thought that it would be cool to pick up another Sand Scorcher so I hit ebay looking and quickly found that they were pretty much now worth their weight in gold, with mint-in-box kits selling for as much as $2,500.00. A basket-case Scorcher could be had for $200.00 or so, but that’s without a body, or radio. You could expect to spend triple that amount restoring one. My browsing on the topic revealed that Tamiya has been re-issuing many of their early RC buggy kits. Unfortunately, due to the cost and quality of the early cars, a Sand Scorcher re-issue seems unlikely. However, the entry-level Grasshopper has been re-issued, and although it has a cheap, crappy-looking plastic chassis/supension, it does use the same tires, and sport a similar wheelbase and track as the Scorcher, so I have chosen this to serve as the platform for my Grasshopper-Sand Scorcher hybrid, the Sandhopper. I got a Grasshopper re-issue kit with futaba radio and 1900MAH battery for about the cost of an NOS Sand Scorcher antenna whip. And although NOS Scorcher body kits are going for $300.00, the tooling for the Tamiya bug body was pressed into use into the 1990′s. The VW beetle shell was used on the later “Monster Beetle” and “Blitzer Beetle” models, so I was able to get a Blitzer Beetle shell for much cheaper. 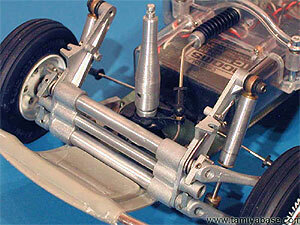 It should be trivial to adapt the Beetle shell to the Grasshopper chassis. All I need to find now is an appropriate sheet of vintage off-road sponsor decals, and I’ll be set. As of today, all I have is the rear tires, so I will show you how I paint the white lettering on the sidewalls of the rear tires. It really does add a nice scale touch. Wash the tires with soap and water to romove any oil or mold-release compound that might prevent the paint from sticking. 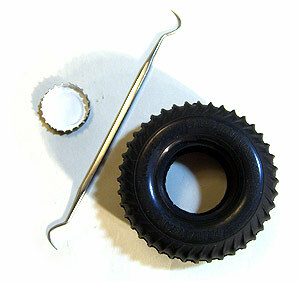 Find a sharp instrument like a dental pick or a needle. Carefuly paint the moulded sidewall lettering with white latex paint using the sharp instrument. The latex is pretty flexible, and won’t crack of flake off right away. You will botch the first one as you figure out your technique, but you can wash it off and start again if you dont let it dry for too long. *This is really a display model technique. The lettering will hold up alright under the stress of running the car, but it will rub off pretty easily. Stay tuned for the rest of the Sandhopper buggy build. I promise to follow up on this one. This entry was posted on Saturday, March 10th, 2007 at 12:29 am	and is filed under Automotive. You can follow any responses to this entry through the RSS 2.0 feed. Both comments and pings are currently closed. how big are these ? Great, last year I bought the R/C car I always wanted but couldn’t afford as a kid: Tamiya Wild Willy. The original, not the re-issue. Great fun. Oh, man. Awesome fun. 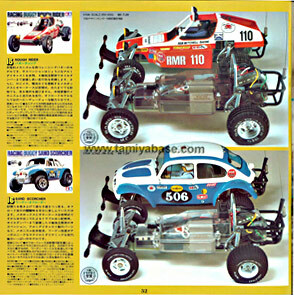 I had a bunch of Tamiya R/C kits when I was a kid — my dad raced them and I would run his cast-offs for fun. I had the Frog to start. My best friend had the Grasshopper — ye gods did we brutalize that thing. Look forward to seeing this project unfold; have fun! These are 1:10 cars, so the wheels are around 3.75 inches in diameter. The paint dish in the bottom picture is a bottlecap if that gives you a sense of scale. More vintage video with great soundtrack. I want to see how the lettering turned out! Willi, The top picture is post letter painting. HA! They looked so good I thought those were stock. Nice job. At JaxTires you can find the latest performance TIRES. 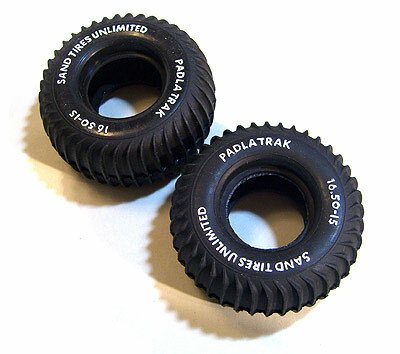 JaxTires does have the best tires for Tamiya cars.